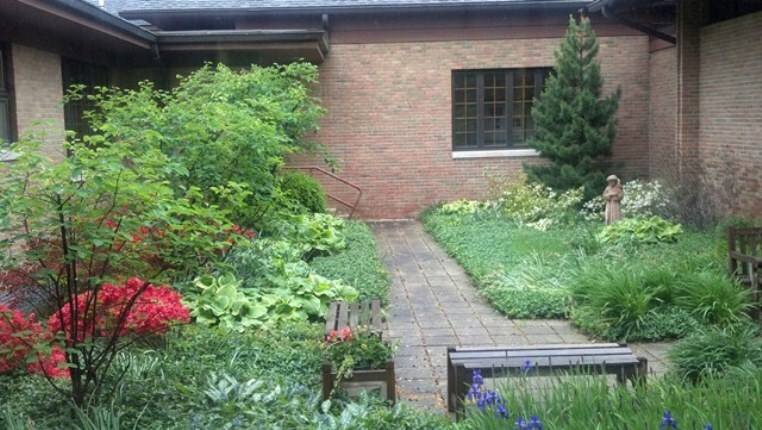 The St. Francis Garden is a lovely enclosed space at St. Michael’s. 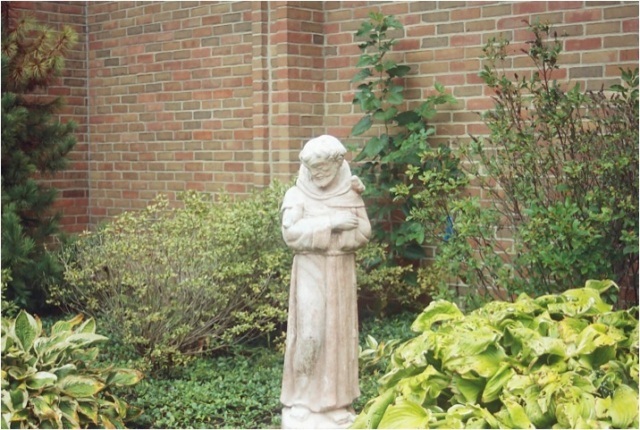 It includes a small statue of St. Francis and has always been tended to by parishioners. 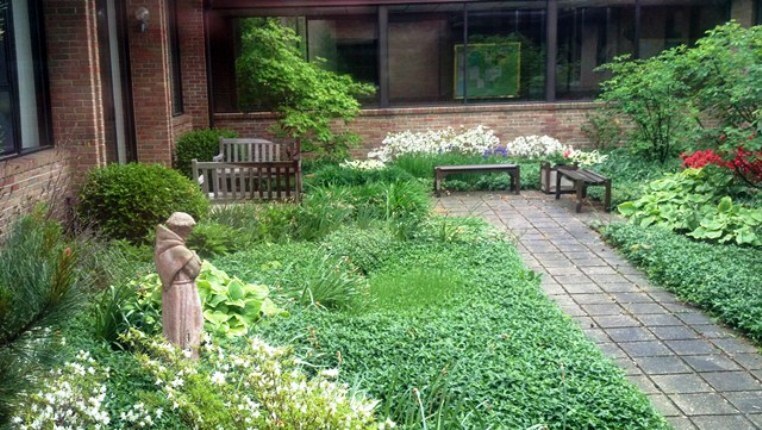 Eleven years ago it was redesigned and mostly replanted. 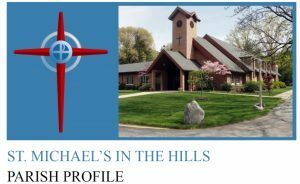 Funds were raised by parishioners “sponsoring” a plant or a tree. 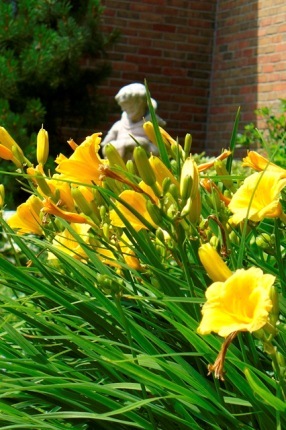 At different seasons of the year, parishioners and groups that meet at the church can enjoy a variety of bloom, from daffodils, iris, azaleas and the native service berry trees to the fern leaf maple, boxwood and ever-present myrtle ground cover. There are teak benches where one can relax by the central walkway. We often have special guests in the spring….a series of mother ducks have chosen the protection of the garden in which to lay their eggs. 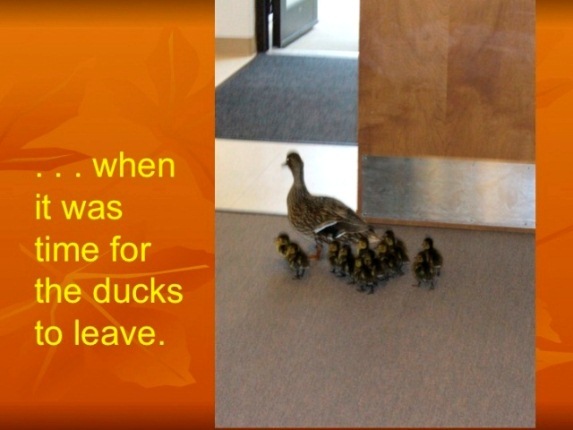 It is always exciting when the eggs hatch and the ducklings need to be escorted down the hallway and out of the church. Sometimes they need human assistance for the journey!